Treat the tired soul inside you with our Lakshadweep holiday tour. Take a Lakshadweep island holiday tour away from the world of concrete where nature caresses your soul. We offer the best holiday packages in Lakshadweep Island for honeymooners with some beautiful locations. Holidays in Lakshadweep also remain popular among family vacationers as the place has everything for everyone. Beach holiday at Lakshadweep Island remains on the mind of every beach soul seeking a mélange of sun, sea and sand. 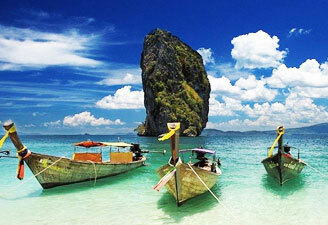 So, contact us for Lakshadweep India holiday package along with your desired itinerary and cost. Arrive Cochin. Upon arrival you will be met and transferred to your hotel in Cochin for overnight stay. Morning sight seeing of Cochin including Dutch Palace, Jewish synagogue, Chinese fishing nets. Afternoon is at leisure. Overnight in Cochin. Morning flight to Agatti (Lakshadweep). Upon arrival at Agatti, transfer by boat to Bangaram Overnight stay at Bangaram. Day at Leisure to explore the scenic beauty of this island. Full day at Leisure . Transfer to Cochin International Airport to board your onward flight (hotel checkout time 1200 hrs).